Little Sunshine’s Playhouse and Preschool is recognized within the industry as a premier early childhood education program and is proud to be a private preschool in Gilbert, AZ. We offer an identity of unrivaled distinction in our brand image and high-profile architectural presence, and in the level of support and training, our childcare franchise system provides the School Operators. Greetings Families! My name is Kristin, Program Director here at Little Sunshine’s Playhouse! I have been fortunate to be in this industry for 14 years, and I couldn’t imagine doing anything else. I have worked in and directed programs with every age group, from infants to school age children, and found my love of the little ones. I hold an associate’s degree in paralegal studies and heavy coursework in early childhood development and education. I started at Little Sunshine’s as the lead preschool teacher and fell in love with the Little Sunshine’s philosophy as well as their determination for enriching not only children, but their families’ lives as well! With growth here at our school, I was given the opportunity to expand my career and was promoted to assistant director in January 2017. I loved my time as assistant director and took every opportunity to learn and grow from our school leadership team. When the chance arose for the program director position, I was thrilled and honored to have the opportunity. I am so thankful to work for such a wonderful company and am so excited to continue working with our families as program director! In my free time I enjoy spending time with my four daughters and my husband! We love being at the zoo, seeing the newest movie, spending time at a local museum, or cheering on the local team at a baseball game! As a singer by trade, I am always singing or humming a tune, usually to the newest Broadway musical. I am a huge Disney fanatic, and as a family we spend lots of time either at Disney or planning our next Disney adventure! I could not be more thrilled to serve our Little Sunshine’s families in this capacity! Hello, I am Shelane, and I am the Assistant Director here at Little Sunshine’s in Gilbert. I am a born and raised Arizonian and currently attending Northern Arizona University with plans to graduate with my Bachelor’s Degree in Early Childhood Education. I started out in Interior Design school but couldn’t stay away from the babies! I have worked in childcare for more than 10 years now but have always baby sat younger siblings and cousins growing up. I started out working as a teacher’s aide at a school in chandler while also helping them decorate each classroom. I have had the opportunity to be the lead teacher in all classrooms from Infants to Preschool but my favorite is the little babies. I have also worked as Assistant Director at two other schools in the past as well. At Little Sunshine’s I was the lead infant teacher in the Treasure Island Classroom and nominated as teacher of the month by families and my peers in May of 2015. In September of 2015 I was given the opportunity to be head teacher, and here I am now Assistant Director at the best school I have worked for! I love working in the office being able to meet the families and spend a little bit of time in each classroom every day! In my spare time I enjoy watching football (Go BRONCOS), playing volleyball, scrapbooking and watching movies. I do not have any human babies of my own (I have two cats and a dog) but like to say I claim the 100+ kiddos that come to school here every day. I look forward to having the opportunity meeting and spending time with all of our families! “I cannot say enough wonderful things about this school! This is one of the more “expensive” preschools in the area, but now that I see the quality of education and service our entire family is receiving, this is the best deal in town! We originally started our daughter at our second choice school due to cost. She cried at drop off, cried at pick up, didn’t bring home any art, and overall it just didn’t seem to be the right fit. I am so glad I listened to gut and moved my daughter to Little Sunshine’s. The school posts daily lesson plans. As an elementary teacher myself, I am so impressed with the curricular planning and implementation. Everyday my 19 month old comes home doing something new that matches what was posted. Her vocabulary has dramatically increased, she started using sign language, and singing new songs. At home she is doing a better job using table manners and following directions thanks to the school. She also brings home very cute art projects. The teachers work so hard to plan and create these projects that connect to the monthly theme. ALL of the teachers are wonderful! I am amazed at the quality of customer service we receive on a daily basis. We are always greeted kindly and by name! All of my daughter’s teachers genuinely care about her. When I say it’s time to go to school she runs to the door! While I am at work is it such a gift to know that my daughter is loved and in an environment where she is thriving. Early childcare positions usually pay very low, but this school at leasts provides the teachers with health benefits. I feel better supporting a school that provides these highly-qualified teachers with more benefits than the average school. This might also be why the quality of teachers are superb! I could keep on going with so many more reasons why this school is amazing… Thank you Little Sunshine’s for everything! !” – Emily K.
“My daughter started April of this year after switching from another daycare that we don’t not like. Little Sunshine’s welcomed her in and made her feel so comfortable and after the first week she wouldn’t cry when I dropped her off. It is SUPER clean. They serve good food. The teachers and very thorough and informative about how your child’s day went. They care about the kids and all teacher, even the ones who are not my daughter main teachers are so involved. I feel so at ease dropping my daughter off. 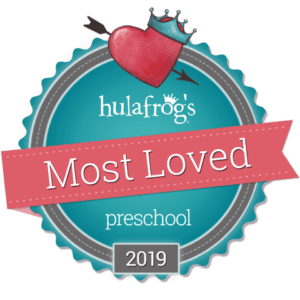 Definitely recommend!” – Jaime V.
The Dahler’s are the founders and franchisors of Little Sunshine’s Playhouse, and the owners of this preschool in Gilbert, AZ. It is the pursuit of “something much better” in early childhood education for their own children that guides and shapes each of the Little Sunshine’s Playhouse schools. Matt and Rochette are dedicated and proud parents of Gillian, Riley and Paxon. Each of their children has thrived with the social and educational components that Little Sunshine’s Playhouse has provided for them from birth to Kindergarten. The entire family cherishes those early years, preschool memories and first friendships.